“NewsClips” are short excerpts taken from news reports. 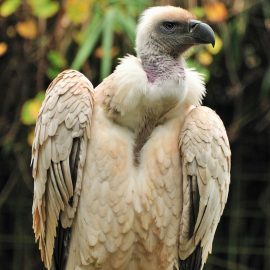 This resource shares easier-to-read information about conservation research and science topics relevant to this website. All newsclips will include links to at least one additional information source so that teachers and parents can help K-5 readers learn more. 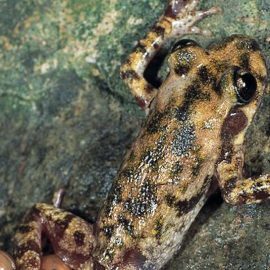 ftE NewsClip: Cure for Chytrid? 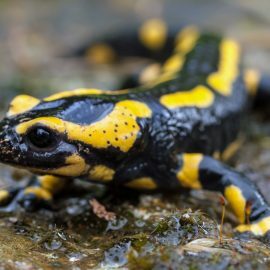 On 12 January 2016, the United States Fish & Wildlife Service (USFWS) added over 200 salamander species to a list of animals that cannot be brought in to the United States. 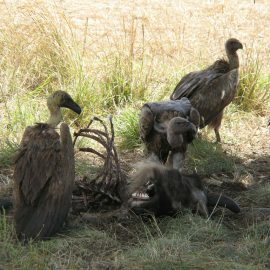 Two wildlife researchers have stated that carcass poisoning is the single greatest threat to the world's vulture populations, and have also noted that vultures are the most threatened group of birds on the planet. 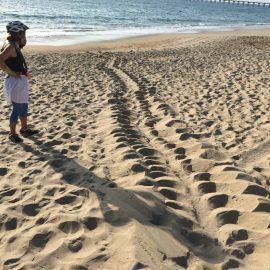 Sea turtle researchers reported the first crawl of North Carolina's 2016 nesting season. There was no nest laid at the site of this crawl, but they expect a nest nearby soon.